The Porsches at the RM Sotheby’s bieannial Monaco auction. Monaco provides the perfect backdrop for RM Sotheby’s biennial Monaco auction. Held at the glamorous Grimaldi Forum, a venue synonymous with the principality’s most prestigious events, the RM Sotheby’s Monaco auction takes place alongside the legendary Historic Grand Prix. That promises to bring excitement. And for the Porsche fans, that excitement translates in some extra ordinary Porsches that come up for sale. For us the most striking Porsches in the RM Sotheby’s Auctions are the 1955 Porsche 356 Carrera GS Sunroof Coupe. Just over 450 Porsche 356 Carrera GS and GT’s left the factory of which most were 1955 models. The Porsche 356 Carrera GS in the RM Sotheby Monaco Auction is one of the very few equipped with a sunroof. During it’s recent restoration in Italy, it was resprayed its rare and stunning original colour of 5605A Lago Green Metallic. Probably one of the most desired models of all Porsche 911 series is a 1973 Porsche 911 RS. Those that can dig somewhat deeper in the wallet, would even have one of the lightweight versions of the 1093 Porsche 911 RS. 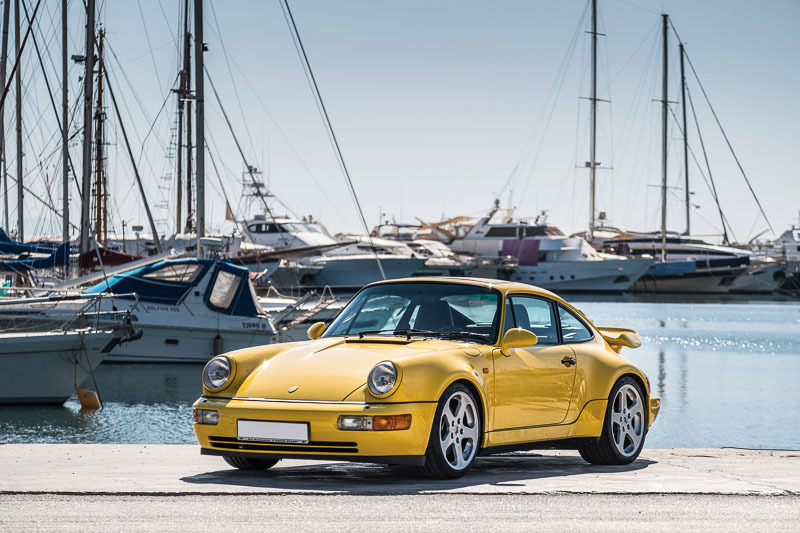 What makes this car so special is that it was factory built for Finnish racer Leo Kinnunen and one of only 2 Porsche 911 RS constructed with ST wheel arches, and the only 1973 Porsche 911 2.7 RS factory-equipped with a 1974 Carrera 3.0 RS rear spoiler. Leo Kinnunen had the car stalled with the German dealer and used it for personal use during his travels in Germany. The highly original car shows only just over 63.000 kms.